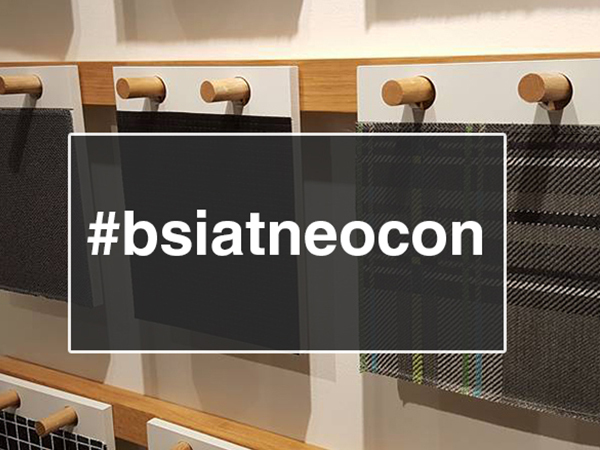 This week, our team attended NeoCon – the most recognized and attended trade show in the commercial design industry. 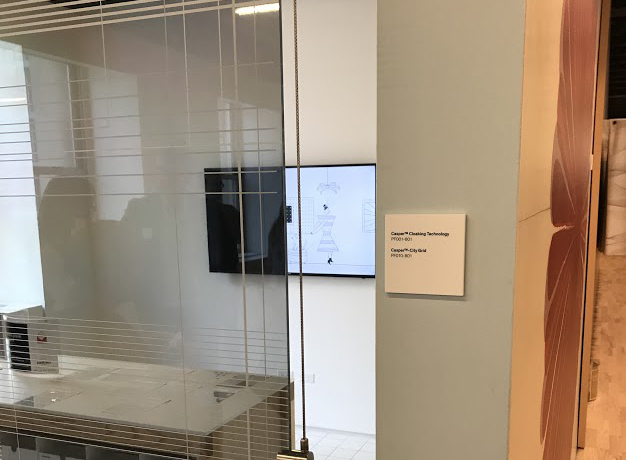 Held at the Merchandise Mart in Chicago, NeoCon consists of nearly 1 million square feet of exhibition space, 3 floors of showrooms, and over 500 manufacturers launching thousands of new products every year. You’ll find the newest and the best new building products, accessories, floor coverings, furniture, lighting, outdoor products, technology, textiles, stone, wallcoverings and more! Not able to attend NeoCon? Don’t worry, we’ve selected our must-see products from the show! Herman Miller launched Live OS, a new digital platform designed to personalize and optimize the office for the people who use it. More than sticking sensors on furniture, Live OS offers users insight into what actually goes on in the office, and a chance to use real data to drive smarter decisions. Imagine if you were to walk up to any place in the environment and it automatically adjusts to receive you — any spot can be your home. 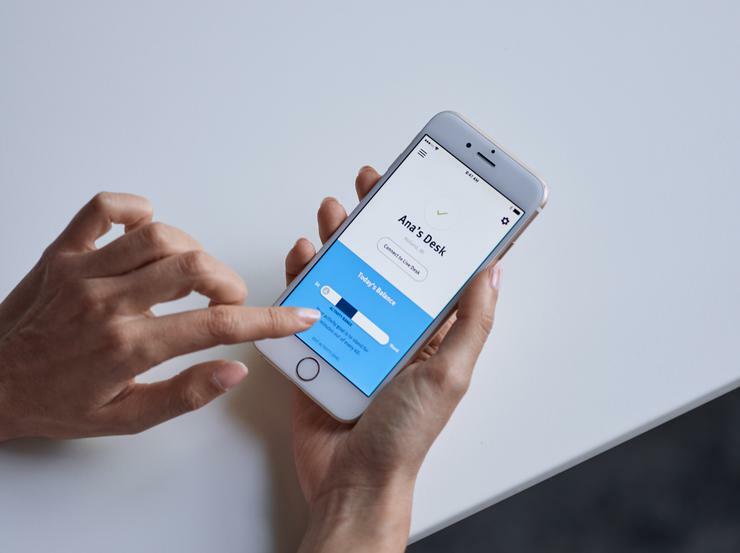 By pairing the app with any connected desk, people can set preferences for sitting and standing, and move comfortably between the two throughout the day. The app’s dashboard offers insight that can help control operational costs, improve space utilization, and enhance employee well-being. Why we love it: Smart Furniture that responds to your personal settings and provides insight into your movement throughout the day. Think Fitbit for Furniture. We can’t get enough of it! We were blown away by the Casper Cloaking Technology. This architectural film for glass walls that obscures digital screens to outside view! It ensures transparency and confidentiality all at the same time. It obscures only the light transmitted from large LED displays. Anyone looking into the room from the outside will only see a black screen. You have to see it to believe it! Casper Cloaking Technology. Why we love it: This product literally acts as a smart shield to ensure data privacy while providing the peace of mind to collaborate freely in any working environment. And better yet – it’s bleach cleanable so it works in a variety of business, education and healthcare applications! Charles Eames said it best himself. “The details are not details. They make the design.” We couldn’t agree more! Check out these product details. We loved seeing our favorite products enhanced with detailed stitching. 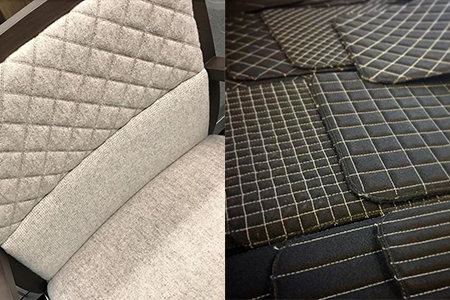 National Office Furniture has a new “Stitch-It” program that allows you to add beautiful stitching details to upholstery fabrics. Choose from six stitch patterns, five sizes, colors, and two styles (double or single stitch). Why we love it: The beautiful detail and the endless options allows us to add another element of design to our favorite pieces. Prospect is mission control for small teams aiming for big collaboration and creativity. This new product is a semicircular freestanding unit that is designed to foster collaborative and individual creativity in today’s workplaces and learning environments. Perfect for small to medium-size teams, Prospect can be loaded with whiteboards, tackable surfaces, and media display. It’s an ideal place for brainstorming, pinning, and visual thinking. Why we love it: The semi-enclosed Prospect offers privacy in an open office landscape, making it ideal for a quick brainstorm, team time, or even focused heads-down work. This small scale healthcare exam application had an impact on us, as it allows us to design exam rooms so that the caregiver can be across from the patient, creating a conversation level of care while providing comfort to the patient. Herman Miller Intent combines an all-purpose table with an integrated wall system that incorporates technology and ergonomics to improve the experiences of caregiver and patient alike. 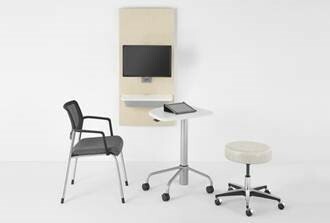 In addition, the table is height adjustable to a standing position with endless possibilities for ways to work within the exam room. 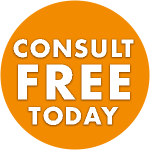 Why we love it: This universal system enables clinical freedom—the freedom to talk, consult, treat, and use technology in a way that promotes better experiences and relationships! BSI has been improving the way people work since 1947. Our in-house professionals design, build and furnish interiors to create collaborative and inspirational environments. If you have questions about any of the products above, or if you would like to learn how you can improve your workplace, email us for a complimentary consultation of your workplace. This entry was posted in Tips for your Workplace and tagged collaboration, Herman Miller, NeoCon, technology. Bookmark the permalink.